Summer is teasing us a bit at the moment, certainly here in the far North East corner of Scotland. We've had some absolutely glorious days but others most definitely hold true to the 'ne'er cast a clout til May be oot' adage. 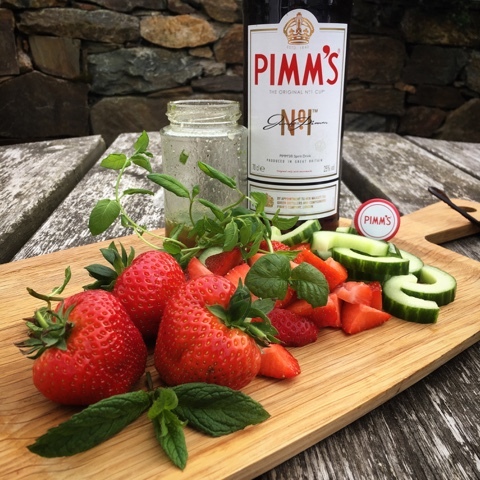 For me one of the unmistakable flavours of Summer is Pimm's. It makes you think of the Chelsea Flower Show, Henley Regatta, Garden Parties, Punting on the Thames, Polo Matches and of course Wimbledon. National Barbecue Week kicks off today (May 30th) and runs until 5th June. 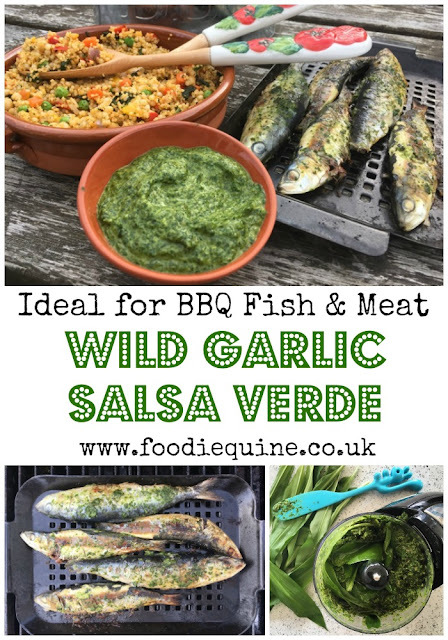 The recipe I'm sharing with you is perfect for al fresco dining and makes a great BBQ side dish. 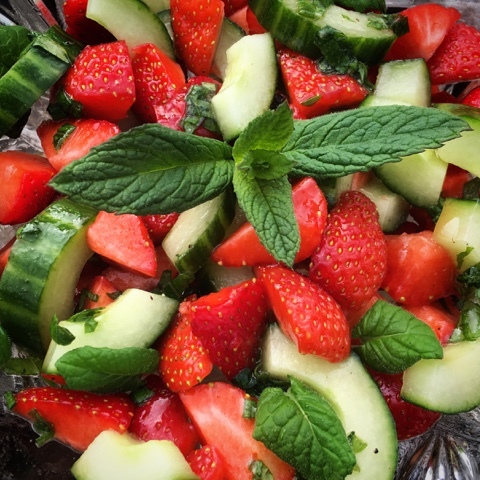 It was inspired by Nigel Slater who wrote about a sweet strawberry and cucumber fruit salad in his Observer column. 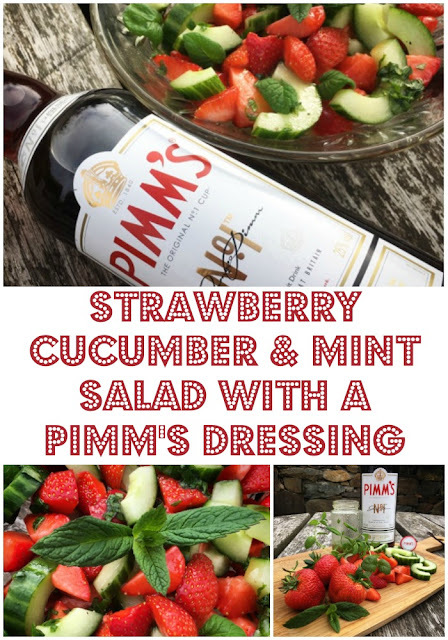 I immediately thought of Pimm's and decided to have a go at a savoury version with a Pimm's Dressing. It turned out to be the perfect taste of summer. Whilst I know that I like Pimm's I really don't know what exactly it is. Time for a wee bit of research. First surprise - and probably why I like it so much - is that the alcohol base is none other than my good friend Gin. Apparently Pimm's is a 'fruit cup' but may also be considered a liqueur. First produced in 1823 as a tonic to aid digestion it was served in a small tankard known as a 'no. 1 cup'. Over the years other variants were introduced from no. 2 cup right through to no. 6 cup. All had different spirit bases covering whisky, rum, brandy and vodka. 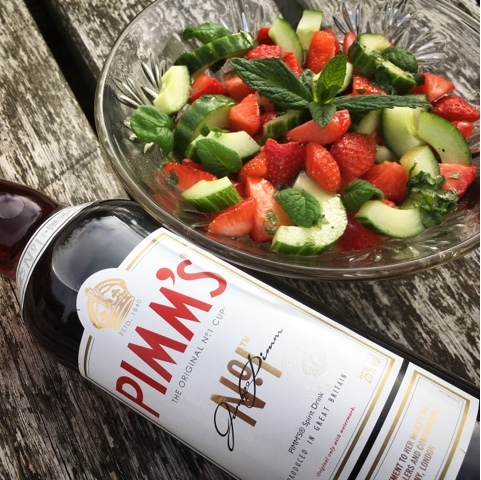 Hence what we buy today is known as Pimm's No 1. It's also worth while checking out supermarket own brand versions such as Austin's, Jeeves and Pitchers for Pimm's O'clock on the cheap. Cut the cucumber length ways and scrape out the seeds with a teaspoon. Slice into crescents. 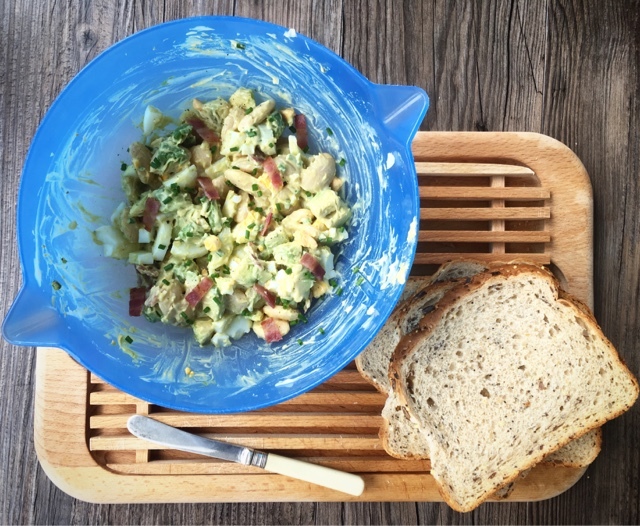 In a jam jar shake together the dressing ingredients and season with salt and pepper. Stir the dressing through the salad just before serving and sprinkle of few whole mint leaves on top. 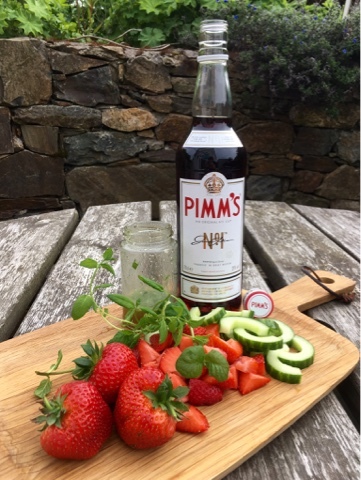 It's Pimm's o'clock! 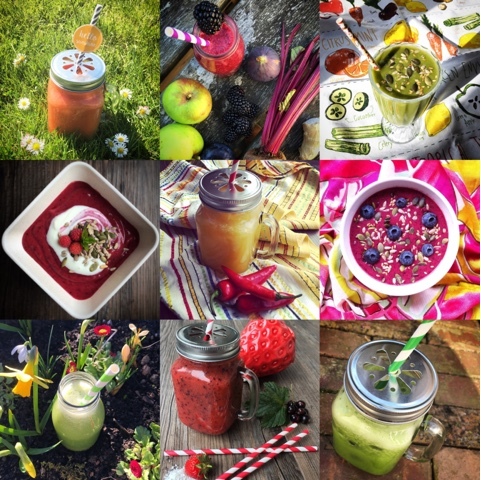 For further recipes celebrating this essentially British taste of summer check out the following. I'm also intrigued by the Cucumber Cake from Veggie Desserts but that might just be because of it's Gin icing! A nostalgic bake from me today. 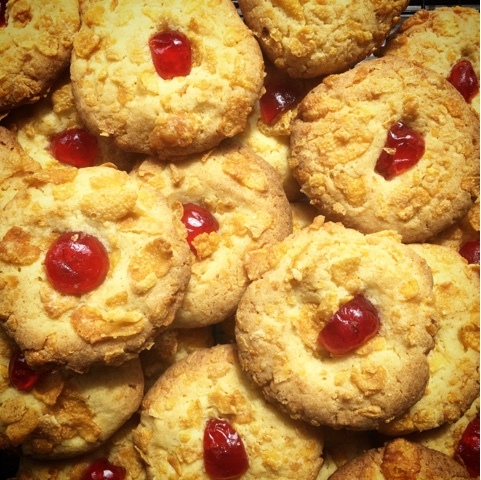 Cornflake biscuits were a staple at my maternal Grandmother's house. There was always a tin of them on the go along with Ministers Slices (yet to be recreated) and Grandma Monearn's Shortbread. They are super simple and cheap to make and when I posted a photo of them on Instagram there was an outpouring of love. Glacé cherries are retro in themselves and I had to scout around the supermarkets to get ones that were actually bright red rather than a more natural colour. 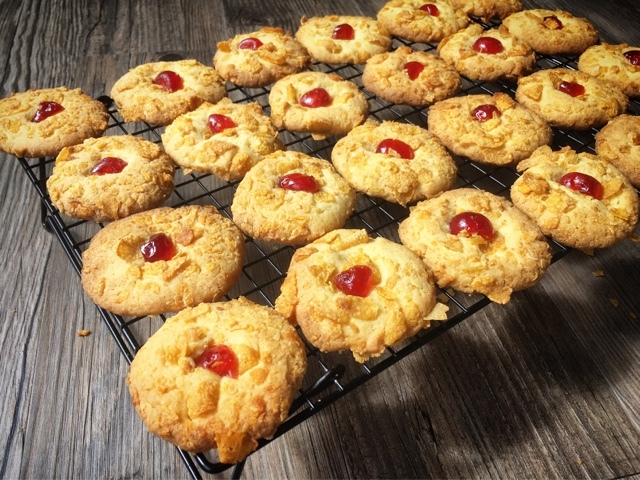 I can't imagine that these biscuits or Pineapple Upside Down Cake would look quite so appetising without a bright red cherry on the top. 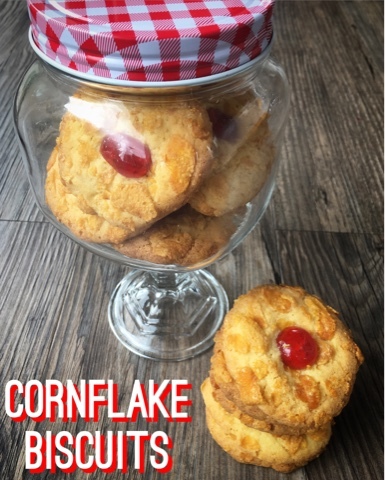 Cornflake Biscuits such as these seem to have been made by a lot of Nan's and Gran's over the years but I suspect that many recipes will have been lost along the way. I rediscovered this one in a in a teenage reporters come recipe notebook along with my Mum's New Zealand Biscuits recipe. I've converted it from metric to imperial and also doubled the quantities. I've not come across a requirement for half an egg in a recipe in recent times! 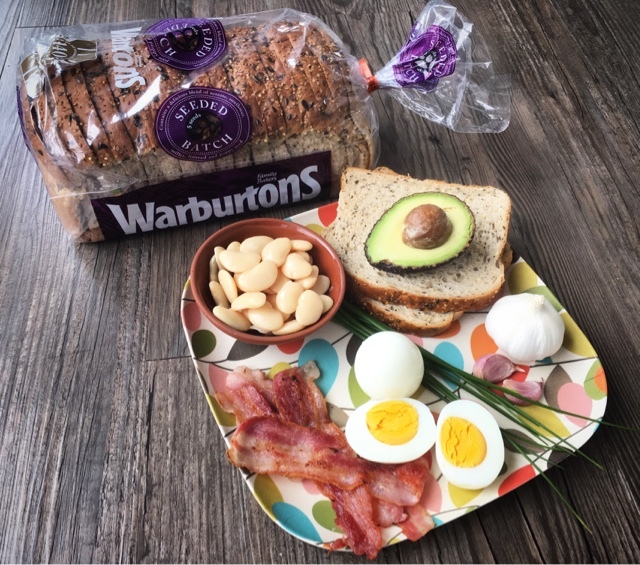 I think that the Lard does give them a bit of a special flavour but if that's not your thing feel free to substitute for a white vegetable fat. I also reckon that green glacé cherries would look fab on these. If you manage to track some down please do let me see your creation. I will of course be green with envy. Post Script! 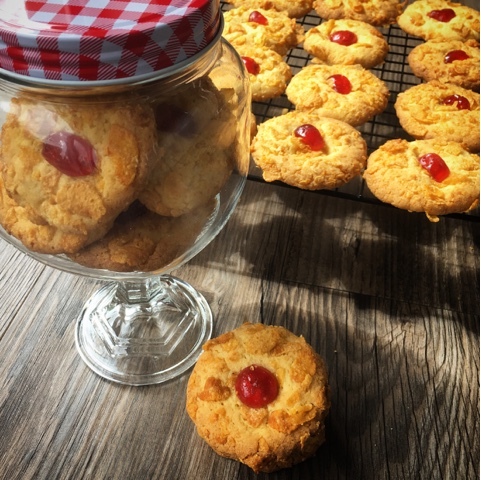 My lovely friend Janice over at Farmersgirl Kitchen left me a comment to say that her Mum used to make biscuits that looked exactly like these and called them Melting Moments. I had a sudden realisation that this in fact is most probably their proper name, although they will always be Cornflake Biscuits to me. However they definitely melt in the mouth and do only take a moment to make. Remove the lard and margarine from the fridge and allow to come to room temperature. Cream together the fats and sugar. Add the egg, vanilla extract and mix well. Finally stir through the flour until just combined. 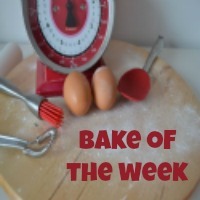 Shape the mixture into small balls and roll each in cornflakes. Place on a greased/lined baking sheet and flatten slightly. Top with a piece of glace cherry and bake for 15 minutes or until golden brown. 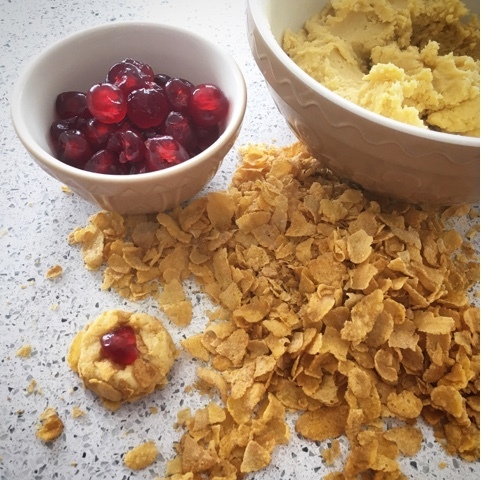 For further breakfast cereal recipe inspiration take a look at these great ideas from fellow food bloggers and be sure to pin my recipe using the image below. 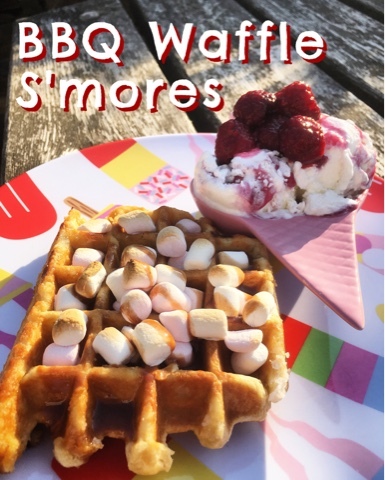 BBQ Waffle S'mores - a decadent desert on the barbecue! 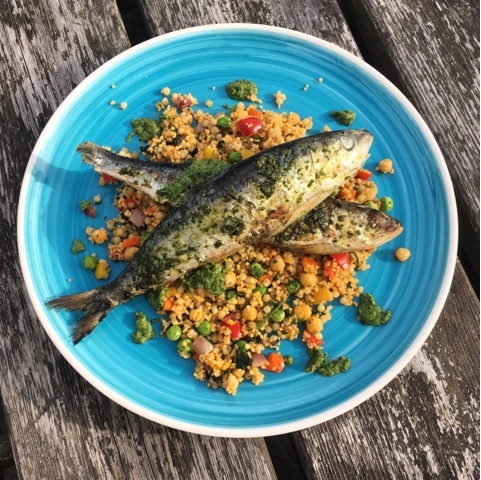 When Iceland challenged me to use the #PowerOfFrozen and show how their products can ensure you are BBQ ready as soon as the sun shines I wanted to think outside the box. 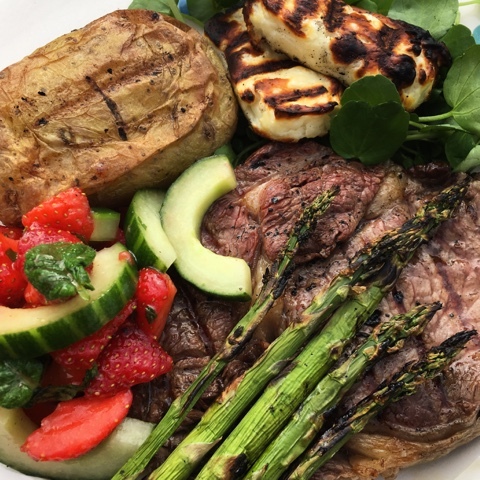 When it comes to barbecue time deserts often get neglected in a flurry of sausages, burgers, salads, buns, relishes and kebabs. 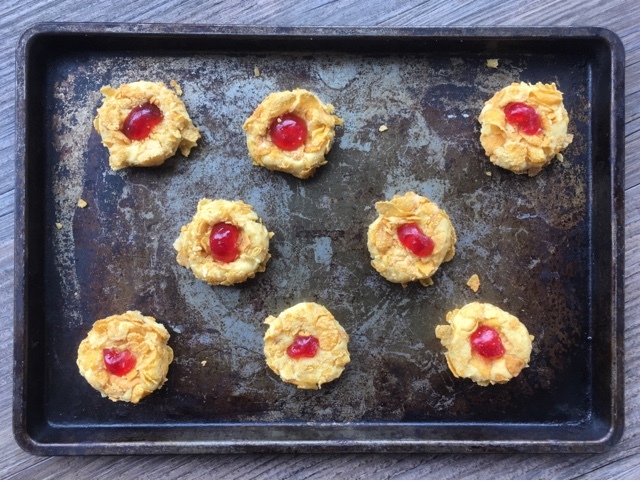 I don't have the sweetest tooth so I'm pretty happy to indulge my savoury side on such occasions but my kids think otherwise and always have room for desert. 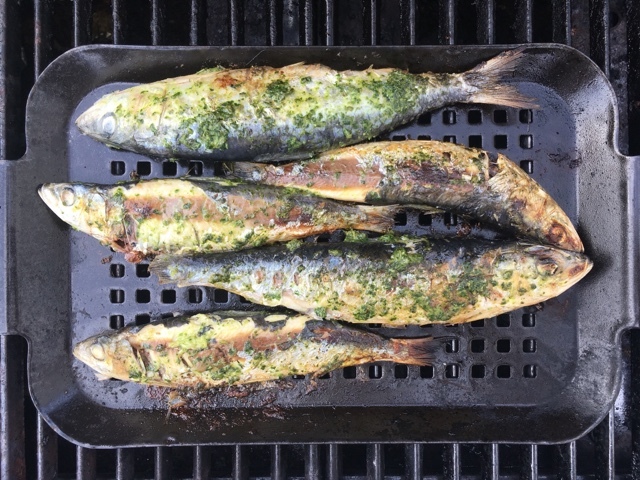 I'd normally resort to ice cream or lollies however why not use the residual heat on the BBQ to cook up something deliciously decadent? 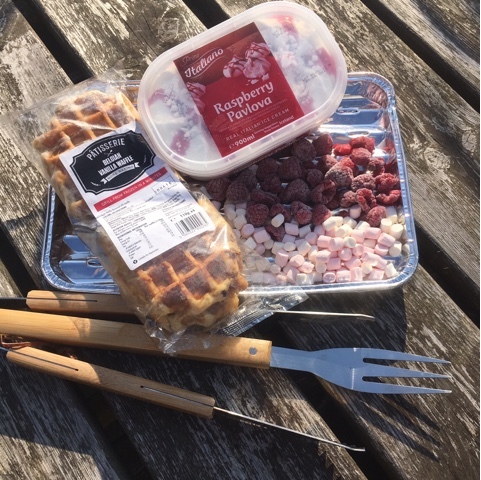 Since I've been working with Iceland on their Power of Frozen campaign my eyes have really been opened to the quality and variety of frozen food stocked. 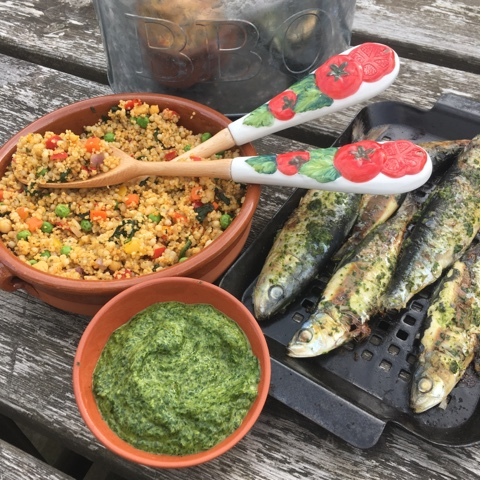 Yes there are the basics of peas, fish fingers, garlic bread and pizza but I've also discovered speciality meats and fish, convenient fruit and vegetable medleys, rice, grains and superfoods. Oh and plenty of barbecue favourites. As far as British Barbecues are concerned you have to grab the chance when the weather plays ball. 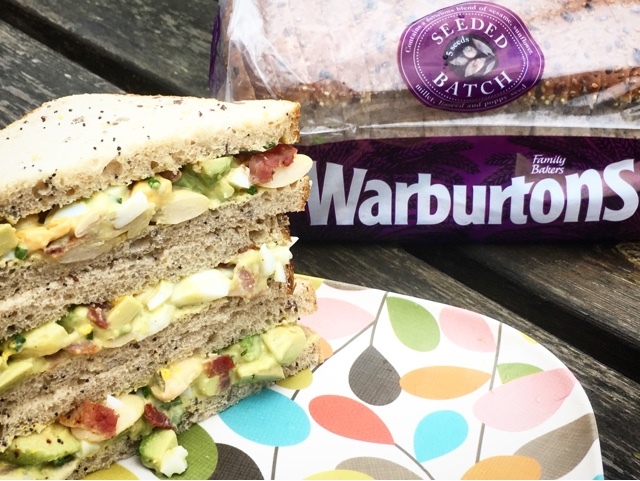 This is where studious stocking of your freezer can play a part. 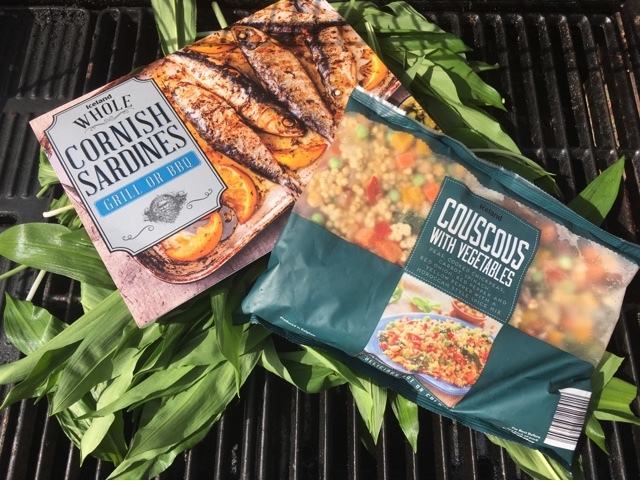 Frozen food combined with Sunshine can make for a perfect BBQ. 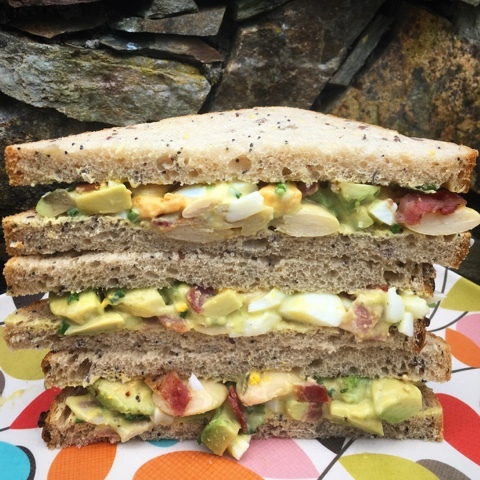 It also avoids a last minute dash to the supermarket when barbecue weather beckons (and the disappointment of finding the supermarket shelves bare as everyone else has had the same idea!) 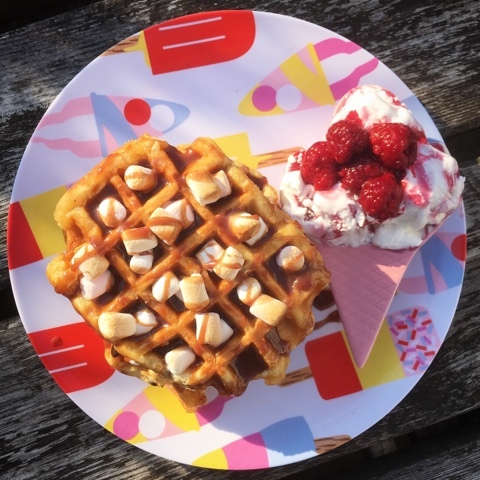 Next time you pop to Iceland for sausages and burgers be sure to grab some waffles, fruit and ice cream. The resulting creation will definitely leave you wanting s'more. 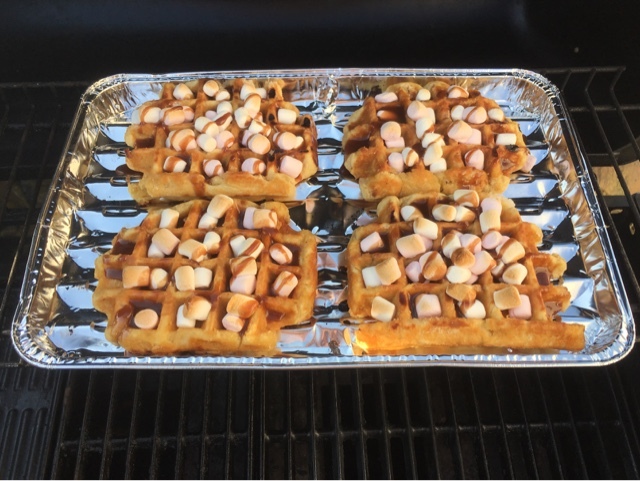 Place your frozen waffles on a foil tray or double layer of tinfoil. You don't want them tasting of burgers! Cook for a couple of minutes on each side until they are beginning to turn brown and crispy. 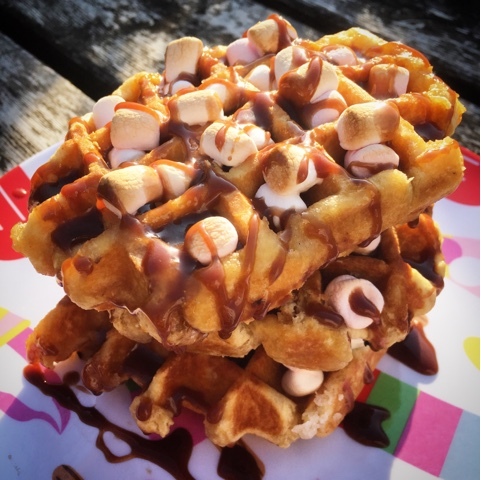 Place a handful of mini marshmallows into the holes on each waffle and continue barbecuing until they start to brown, melt.and slightly puff up. Liberally squeeze over lashings of chocolate sauce. Serve accompanied by the Raspberries and Raspberry Pavlova Ice Cream. 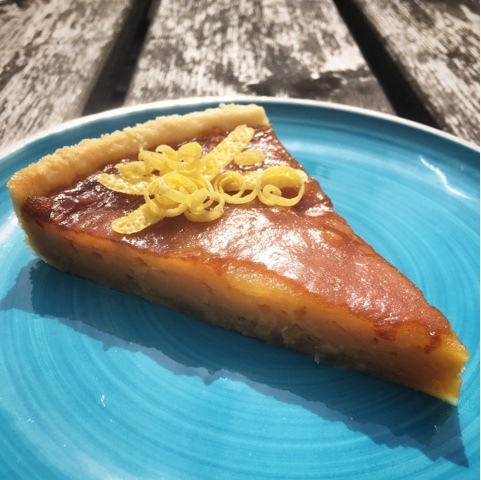 If you've now got the BBQ desert bug, take a look at these other ideas from myself and the UK's most northerly food blogger, Elizabeth's Kitchen Diary. 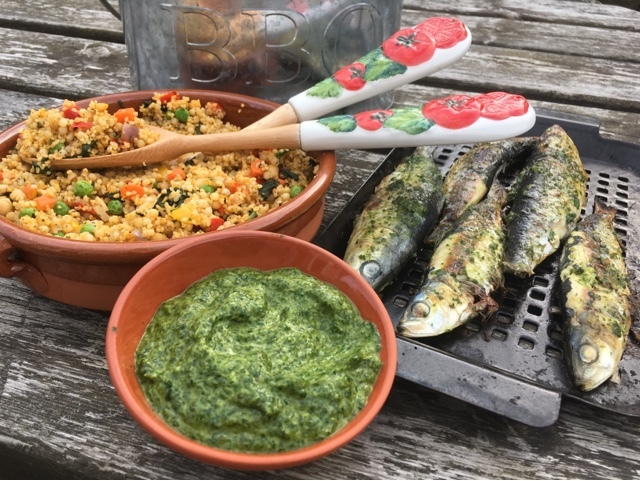 For further #PowerOfFrozen alfresco BBQ and Picnic inspiration check out the following recipes and go forth and fill your freezer so you are ready at the drop of a hat when the sun does put in an appearance. I'm not ashamed to admit that pretty much all my holidays are based around food. Surely I'm not alone in that? 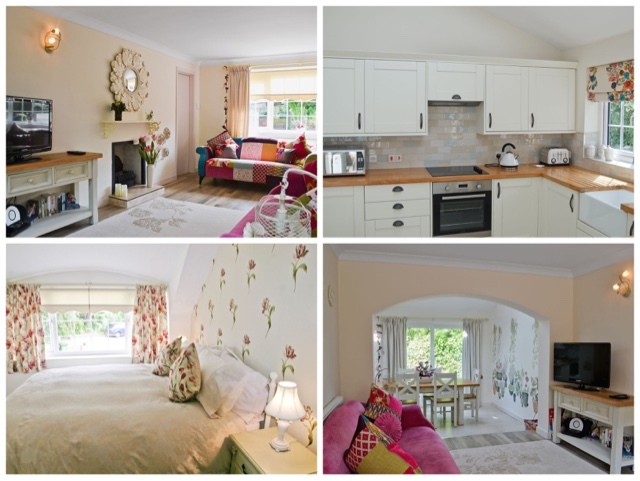 As a foodie I find that self catering offers me the the freedom to dine out and sample local restaurants combined with the facilities to cook for myself with goodies bought from local farm shops and producers. It really is the best of both worlds. Part of the fun of holiday planning for me is checking out what the local foodie specialty of the area I'm visiting is, researching restaurants and tea rooms to visit and mapping out local Farmers markets and specialty food shops. I fear that my family sometimes despair of my foodie traveler obsessiveness! For a long time I've loved the idea of holidaying in the Norfolk Broads. A week in a cottage and a week on a boat would suit me just fine. I blame Rosie and Jim for my narrowboat fixation. We have managed a short stay on Blue Hue, a houseboat moored on the outskirts of Edinburgh. We're heading to Orlando in October this year so over the summer we shall be staycationing. 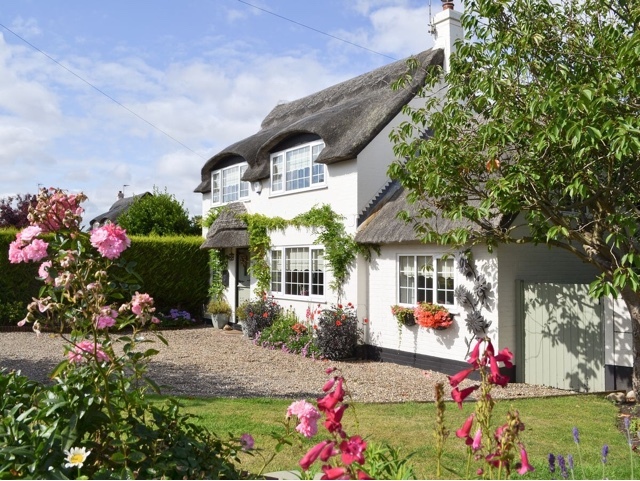 I've been looking at the options on cottages.com and have fallen in love with the gorgeous thatched Captain's Cottage in Winterton-on-Sea which is absolutely picture postcard perfect! Foodie Loon was pleased to note that there is a pub just across the road! I wasn't aware of any particular foodie specialty of the area but apparently the local bake is a Norfolk Treacle Tart. 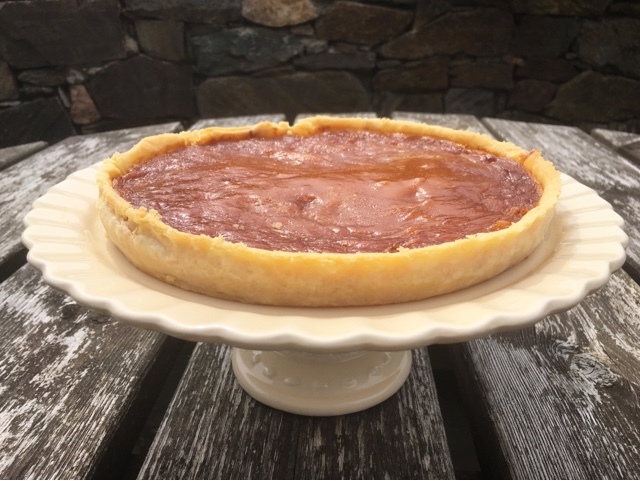 I've always been a wee bit confused by the whole concept of a treacle tart. First off they contain no treacle. What's that all about?! Do Trading Standards know? 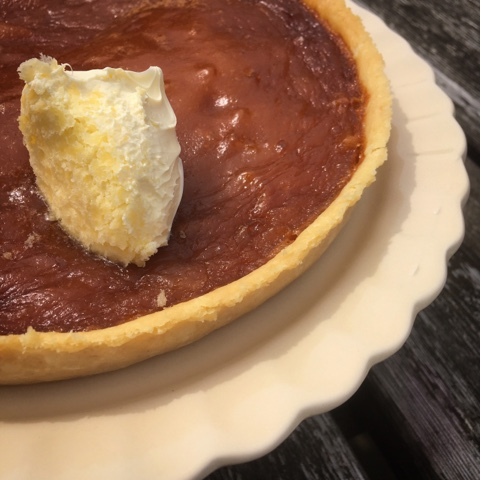 Apparently a Norfolk Treacle Tart is different from more traditional recipes as it does not contain breadcrumbs (nor does it contain treacle... just saying!) Still on the trail of the missing treacle I turned to Google which firstly told me that Golden Syrup is also known as light treacle. Hmmm. Not convinced. However Nigel Slater tells me that the word treacle actually refers to all forms of syrups made during sugar refining, from golden syrup through to black molasses. Still think its a misnomer but I won't argue with the lovely Nigel. 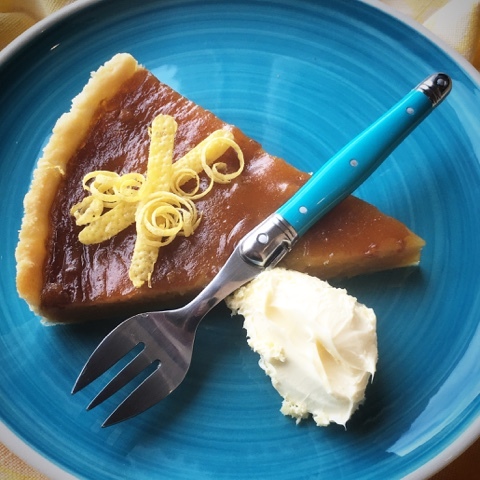 Treacle tart is usually served hot with a dollop of clotted cream. You could also serve it with whipped or single cream, custard or ice cream and its' also good cold. It's a favourite desert of Harry Potter who likes it so much that he smells it when he is in the presence of love potion. Alas I don't have the recipe as used by the House Elves at Hogwarts but hopefully you'll think my one is pretty magical. Line a shallow 23 cm (9 in) tart tin with the pastry. Prick the base all over with a fork. 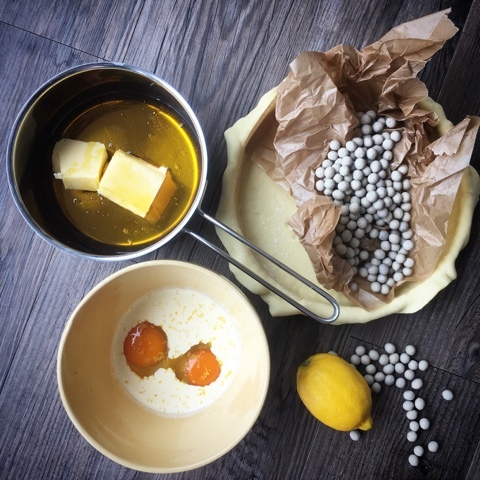 Line the tart tin with baking parchment and fill with ceramic baking beans or dried pulses. Bake for about 15 minutes, then remove the beans and cook for about 5 minutes more. Gently warm the butter and syrup together in a pan - just enough for the butter to melt but not letting the mixture get too hot. Place the tart on a baking sheet in the oven and bake for 20 minutes or until the centre is set and lightly brown. 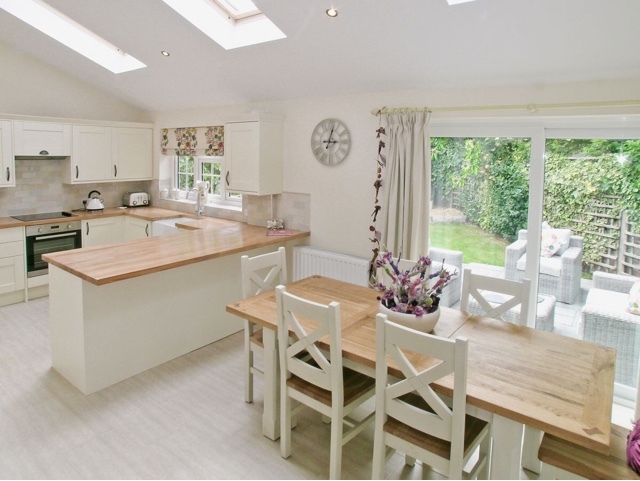 Disclosure : This is a commissioned post for Cottages.com All views expressed are my own. 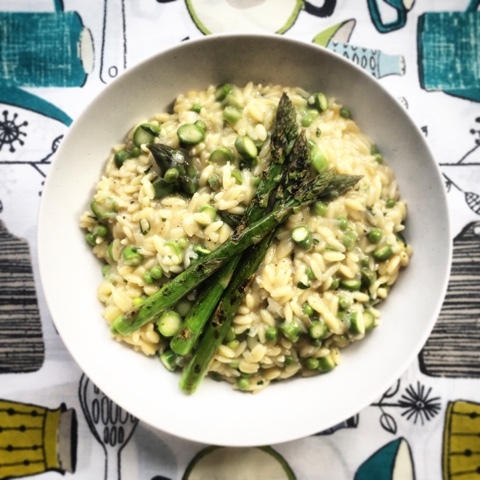 A quick and easy Vegetarian recipe showcasing seasonal British Asparagus. 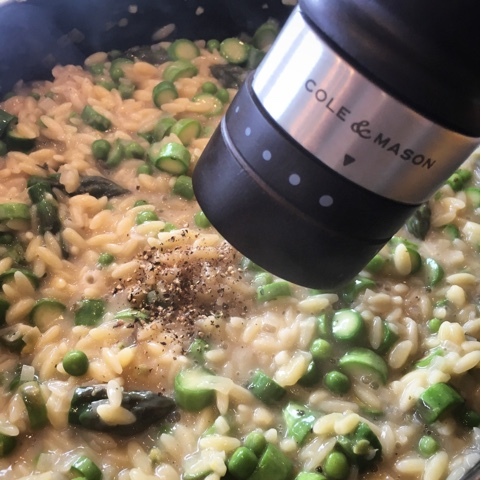 Orzo pasta simplifies the whole risotto making process while mint, lemon and black pepper enchance the flavour. The dish is finished off to perfection with Parmesan cheese and Griddled Asparagus. At long last Spring appears to have sprung. A sure sign of this is the appearance in the shops of British Asparagus. The official season is from April 23rd (St George's Day) to June 21st but you may find it earlier of later. Do make sure to read the label carefully when you are out shopping to make sure it really is British that you are buying. 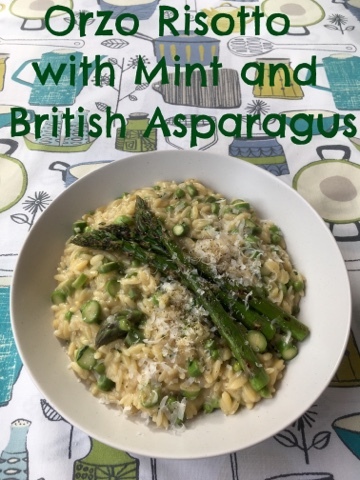 In the quick and simple recipe I'm sharing today the Asparagus is showcased so that its flavour really shines. Using Orzo rather than arborio rice simplifys the whole risotto making process. 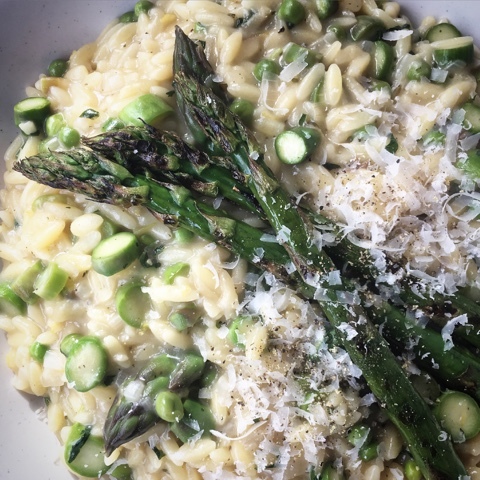 I've used a mix of the larger Asparagus through the orzotto and some of the finer tips griddled and served on top. 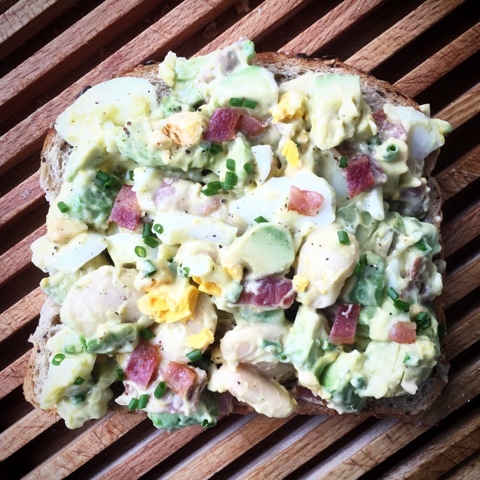 The mint, lemon and black pepper only serve to enhance the superb Asparagus flavours. 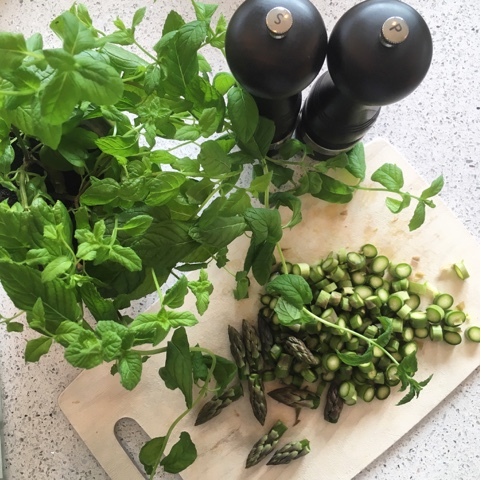 I don't know about you but over the years goodness knows how many packets of cut herbs and pots of growing herbs I've ended up buying and binning. What usually happens is that half a pack gets used and the remainder goes slimy in the bottom of my fridge. If I try to economise by buying a potted herb I then end up killing it by over or under watering. Cole and Mason asked me if I'd like to try out a Self-Watering Single Potted Herb Keeper from their new range. It promised to give longer life to fresh herbs and I've been seriously impressed with its performance. Not only has my mint flourished like a triffid it also looks much more stylish in my kitchen than a black plastic pot sat on a chipped saucer. No need to re-pot, simply sit your round or square potted herb in the Herb Keeper, fill the base section with water via the spout and a hydro felt pad draws up exactly the amount of water that your herb needs to absorb. 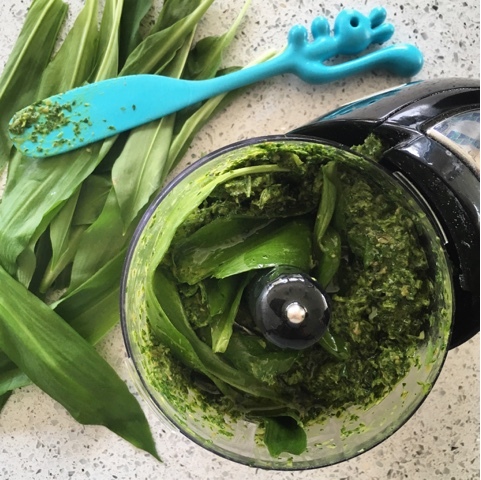 It works a treat and there's also a version for Fresh Cut Herbs. I've also been using a set of their Precision Mills which have an easily adjustable courseness level. 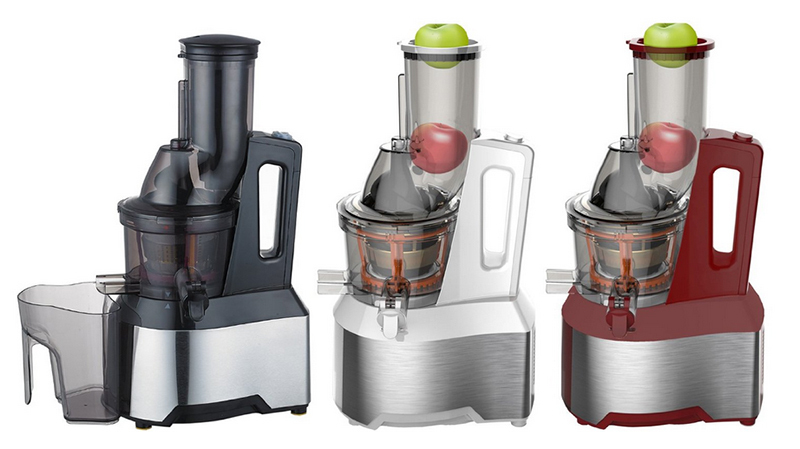 There are three settings for the salt and five for pepper so you get the perfect grind for you needs to take you from hob to table. 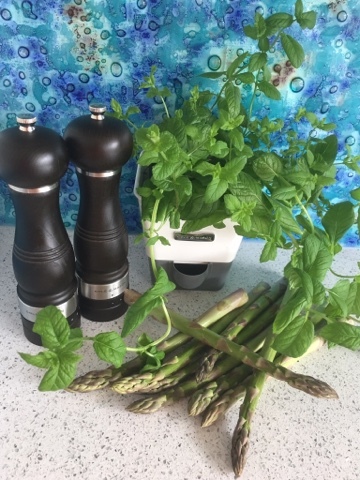 Herbs, Spices and Asparagus ready - time to get cooking! Fry the finely chopped shallot in a large satue/frying pan along with the rapeseed oil until translucent. Add the orzo and vegetable stock, bring to the boil then turn down to a gentle simmer for 7 minutes. Meanwhile chop the stalks of the larger Asparagus into discs, leaving the tips whole. Prepare the mint, Parmesan and and lemon and set aside. 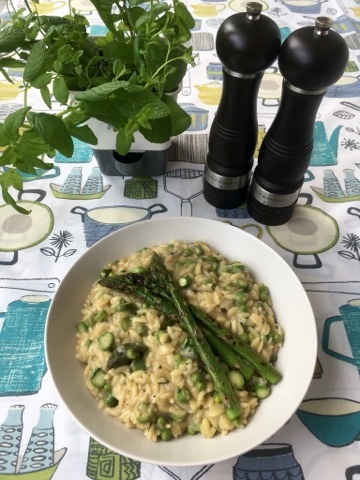 Add the frozen peas and the chopped Asparagus to the Orzo and cook for a further 7 minutes until the pasta is soft and starchy, all the water absorbed but there is still a bite to the asparagus. 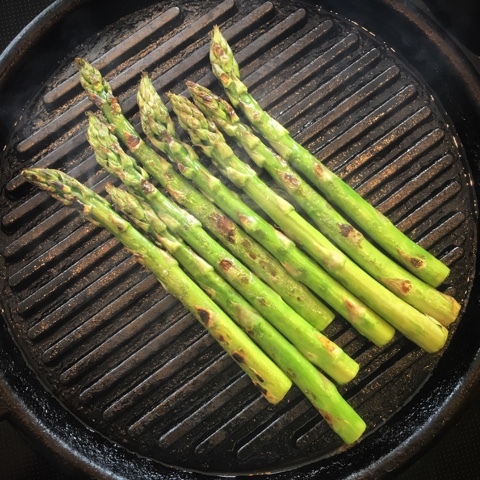 Meanwhile brush the fine Asparagus Tips with some rapeseed oil and cook on a griddle pan until lighly charred. Add the chopped mint, grated Parmesan, lemon juice and rind to the Orzo. Mix well and season with freshly ground salt and black pepper. Serve topped with the griddled Asparagus tips and extra Parmesan and Black Pepper. 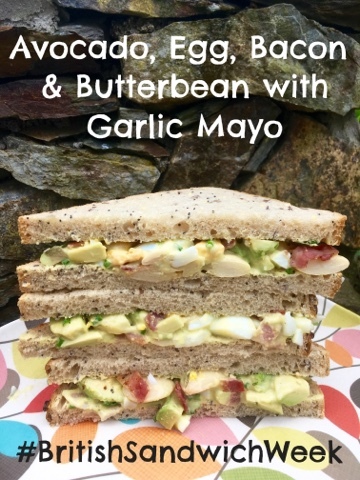 Disclosure : This is a commissioned recipe for Cole & Mason. As always, all views expressed are my own.